Researchers have identified a connection between infection control and how well antiviral T cells respond to diverse HIV sequences. The senior author explains that HIV adapts to the human immune system by altering its sequence to evade helpful antiviral T cells. The team has developed new laboratory-based methods for identifying antiviral T cells and assessing their ability to recognize diverse HIV sequences. 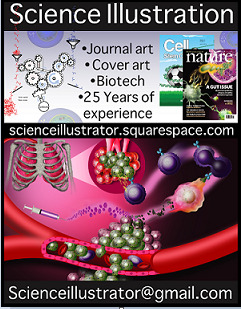 "T cells are white blood cells that can recognize foreign particles called peptide antigens," says the senior author. "There are two major types of T cells--those that 'help' other cells of the immune system, and those that kill infected cells and tumors." Identifying the T cells that attack HIV antigens sounds simple, but three biological factors are critical to a T cell-mediated immune response. And in HIV infection, all three are highly genetically diverse. The author explains that for a T cell to recognize a peptide antigen, the antigen must first be presented on the cell surface by human leukocyte antigen proteins (HLA), which are inherited. Matching T cells against the HLA variants and HIV peptide antigens expressed in an individual is a critical step in the routine research process. But, "our understanding of T cell responses will be incomplete until we know more about the antiviral activity of individual T cells that contribute to this response." Much work needs to be done to create an effective vaccine. However, says the author, "Comprehensive methods to assess the ability of T cells to recognize diverse HIV sequences, such as those reported in this study, provide critical information to help design and test new vaccine strategies."